As an employee retention speaker and employee retention trainer, I am fortunate to be able to work with some great organizations where their leaders truly get it. When I can, I like to highlight them so others can learn from their example. Just last week, I had the opportunity to visit one of my clients that is in the metals business. The General Manager and I went for a tour of the facility as I wanted to see some of the new equipment they had just installed. Their business is booming. Like most organizations, they are struggling to find people to work in the shop. That being said, once they do, they are able to keep most of them. 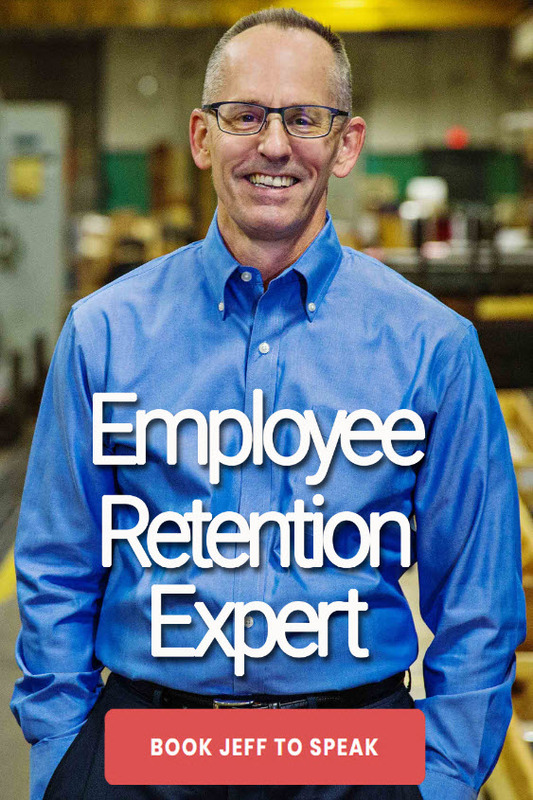 That’s a real accomplishment given that employee retention is as tough of a challenge as recruiting. When I grew up, heavy manufacturing was the norm in Milwaukee. People were used to hot, dirty, heavy manufacturing environments. Times have changed. The environments have gotten better but they are still hot, heavy and not the cleanest type of manufacturing just based on the nature of the work. So, why is my client able to retain people when others struggle? 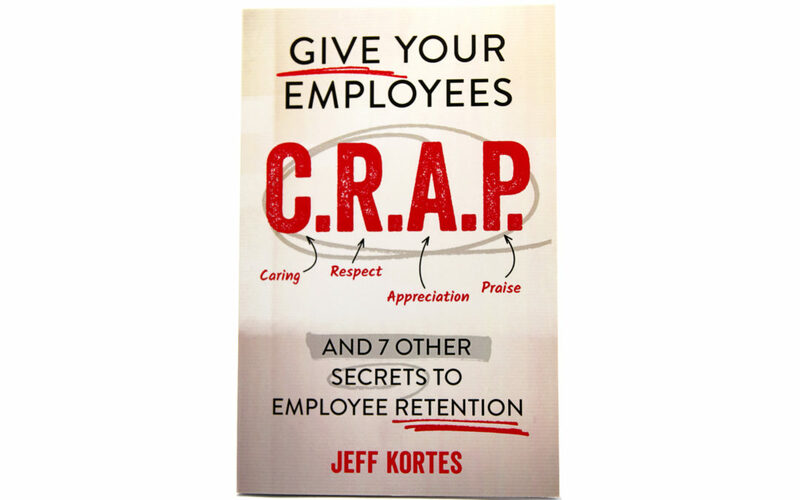 He gives his employees C.R.A.P…Caring, Respect, Appreciations and Praise! As we walked through the plant, the General Manager said “hello” to everyone. He knew people by name. He stopped to chat with people and asked how their family was doing, how their kids were doing in the sports they participated in and what they were planning for the upcoming weekend. It was 90 degrees outside and a lot hotter in the plant. But people smiled, were generally happy despite the conditions and appreciative of the fact that this guy knew them by name, took interest in them and genuinely cared about them. Caring is something where people can feel the vibe. They can tell this guy respects them and the difficult work that they do. He treats them like they matter. He knows that without the guy grinding the casting or pouring the metal, nothing is going to happen. They don’t have ping pong tables and do pizza every Friday. It’s not about ping pong and pizza, it’s about whether or not you care and show that you respect people. As we walked around, the General Manager looked at parts and told people when the parts looked good and to keep up the good work. He told them to “hang in there” and that it was going to be cooler later in the week. Bottom line, he showed them that he appreciated them and the fact that they were toughing it out despite the heat. He introduced himself to the temp employee who was on his second day on the job and said, “glad to have you here.” The guy was shocked. This was not the norm for other jobs the temp had worked. This is the sort of thing that keeps people coming back so that instead of not showing up after lunch one day and simply quitting, they come back for another day. People stay because appreciation matters. When they hit record sales the month prior, they celebrated the success. Why? Because this organization gets the fact that when people hit it out of the park you need to make a big deal out of it and praise them. This is what sustains people when times are tough. People remember this and “hang in there” when it’s over 90 degrees outside and showing up for work is a chore. It’s also one of the things that drives employee retention. 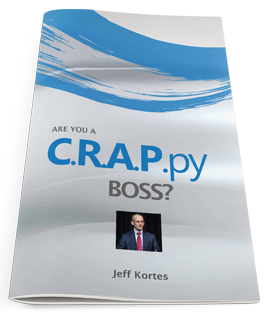 If you want to retain employees in this day and age, it’s crucial that you Give Your Employees C.R.A.P..® Why? Because Caring, Respect, Appreciation and Praise works!